Awarded annually to Connecticut’s top high school football team as voted by the Foundation’s membership. It is the first time Greenwich has won the award. It was also the fourth straight year a team from the FCIAC has earned the honor, tying the record held by the Southern Connecticut Conference (2009-2012). Greenwich went 10-0 during the 2018 regular-season. The Cardinals then defeated New Britain, 34-13, in the Class LL quarterfinals on November 27. 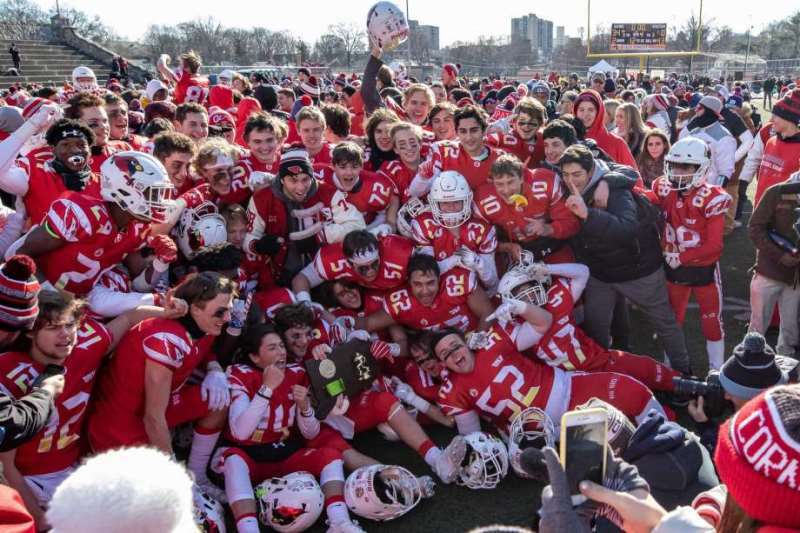 In the semifinals, Greenwich defeated Newtown, 50-0, and culminated its championship season with a 34-0 victory over New Canaan on December 8. It was the Cardinals’ first state title since 2007. In their 13 games, the Cardinals averaged 43.4 points per game, allowing just 4.2 a game.